Don't miss this amazing chance of monetizing your web with Hihonor.com/us "Honor Band 3" launch program. 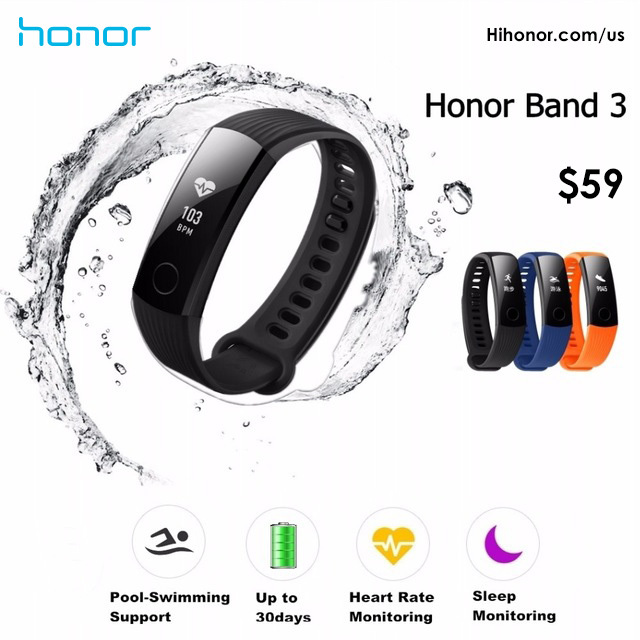 Honor Band 3 comes with heart rate tracker as well, and it costs $59. Other features of the smart band includes walking/running tracking, advanced sleep tracking and notification alerts. 30% commission is valid for booking & staying until 31st January 2018. And commission policy will start after January. Honor is a sub-brand belonging to networking and telecommunications equipment and services company Huawei. the Honor series of mobile computing devices include smartphones, tablet computers, and wearable technology. The company began its international expansion in 2014. In April 2014, it launched the Honor 3C in Malaysia,and it entered the European market in October 2014, with an announcement in Berlin. Its first flagship phone for Europe was the Honor 6. 20 million Honor phones were sold within the first six months of 2015, equal to the number sold in all of 2014. The brand had expanded into 74 countries, including USA, European nations, India, and Japan.